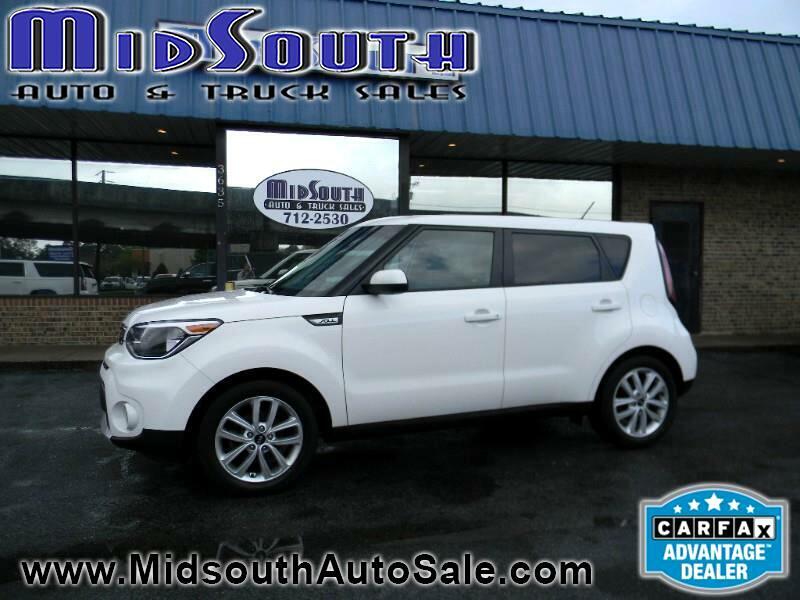 Reliable, Super Clean, 2018 Kia Soul + Wagon is a GREAT vehicle you do not want to miss out on! We can get you New car rates so call us today to get pre-qualified! This vehicle has man different features like Back Up Camera, Bluetooth, Power Mirrors, Power Locks, Keyless Entry, Aux Audio Jack, Second Row Folding Seats, Child Safety Door Lock, and much more! Come by and visit us today! While you're here don't forget to schedule yourself a test drive with this awesome vehicle! Our goal is to get you in the car you love. We want your car buying experience to be easy and enjoyable! So come on by today, We would love to help you! For more information on the vehicle you are interested in contact our office via phone or email... Thank you for your business! Message: Thought you might be interested in this 2018 Kia Soul.